The name "gray wolf" refers to the animals' species category and not to an actual coat color. Here, these young gray wolves (who look to be up to something mischievous) are agouti colored, meaning tawny brown with bands of white, gold, brown, and black. 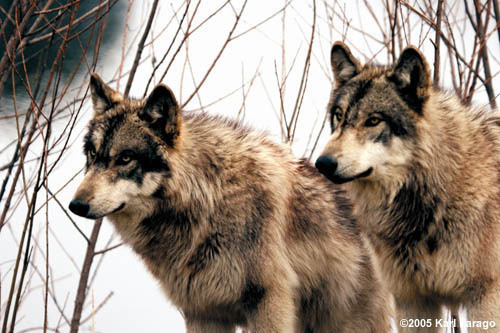 But gray wolves can also be solid white, charcoal black, slate blue, and many other color variations.